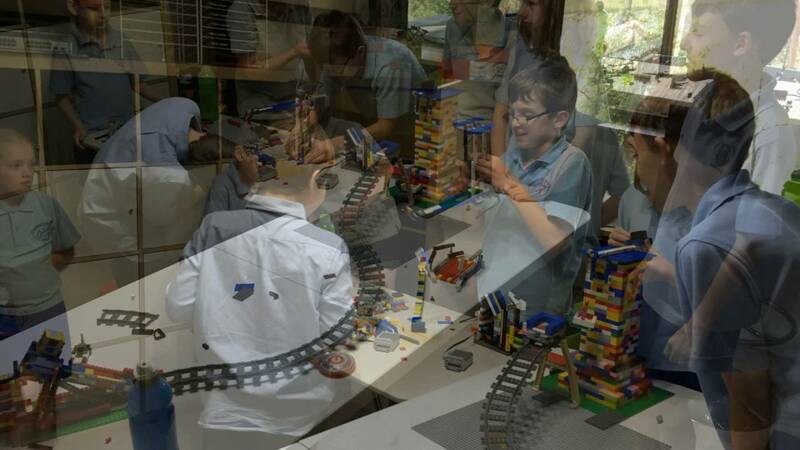 Build-A-Mind – Providing education, entertainment and parties using LEGO®, robotics, circuits and science. Learning to code helps to break a big problem into smaller parts and through this process, helps to develop critical thinking and problem solving skills. Robots can bring maths to life. Putting together algorithms and seeing how they impact a physical object , makes sequencing and logic tangible and fun. Building and making is a wonderful creative outlet, improving hand-eye co-ordination and helping to develop and enhance cognitive skills. Experimenting with different substances and methods allows for a better understanding of the world we live in and who and what we share it with. Build-A-Mind provides numerous enrichment programs to inspire kids to try something new, to get creative and to push their boundaries. We believe that given encouragement and access to a variety of tools and building materials, kids will go “outside of the box” to experiment and create things that we can only dream of. We work with the children to help them develop their ideas and self confidence. We aim to teach them that it’s OK to make mistakes and that not all things go to plan, but that each step is an opportunity to learn and improve. All of our programs reinforce the four c’s of 21st century learning: creativity, communication, collaboration and critical thinking and are specially designed to inspire and engage children in the subjects Science, Technology, Engineering, Arts & Mathematics (S.T.E.A.M). At Build-A-Mind we don’t only create things with LEGO® bricks, although we do use them a lot! We also build, design, code and make with Cubelets, LittleBits, Dash and Dot, K’Nex, Goldiblox, MaKey Makey, Edisons, Arduino, Meperbots, Mindstorms, Raspberry Pi, paper, straws, wood, bricks, tin foil, rubber and even spaghetti! Based in the Blue Mountains, our ‘edutainment’ programs are offered locally and throughout the surrounding areas. We provide themed and generic activities for holiday workshops, after school clubs, incursions, parties, special events and corporate ventures. Build-A-Mind also provides full day events for home schooling groups and private tutoring. Whilst LEGO® robotics are our most popular program, we also provide science events, computer programming, jewelry design, spa parties, handmade cosmetic creations, building activities, stop motion and many more. Want to see what it’s really like? Sign up for a free trial class today! Afternoon, I would just like to say a huge thank you for today my son J* hasn't stopped talking about today. Our sincere appreciation for all your efforts to make last Saturday's party a huge success for Ulysses and his friends. They all had a superb time and said to me it was an awesome party :). Direct comments from my 3 girls after the construction workshop. Great job build-a-mind! "Best workshop I've been to in a long time!" My kids loved your session yesterday - thanks so much! K* loved every second of the robotics workshop. She can't wait until next holidays so she can make more robots. Just letting you know A* had a terrific day today. He really enjoyed all the activities and was stoked to make a new friend. Thanks for a great program, A* would love to do further workshops. Fantastic experience!!! Thank you Kerry and team for providing an amazing experience. Every child participated in this wonderful incursion and produced amazing creations. We particularly like using computers to operate the Lego builds and also the robots. We look forward to your next visit.